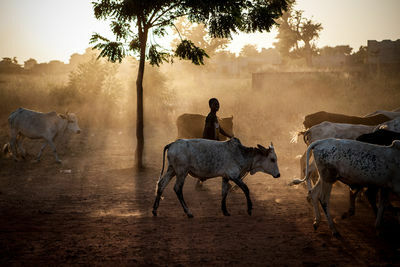 A young boy herds his family’s livestock in the outskirts of Segou, Mali on November 27th 2012. During recess, at Albashayer School for Syrian Refugee Children, some children climbed the school walls while others played games and roughhoused. 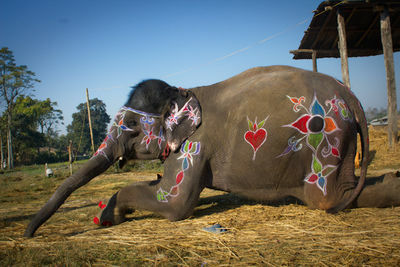 Pinki Kali, one of the participants at the elephant beauty contest, painted on Dec. 28, 2012 in Chitwan, Nepal. This was the third Elephant Beauty Contest held in Nepal. In Jakarta, they call them "Hijabistas" - a mix of hijab and fashionistas. They love glamourous clothes and colors. They are very feminine yet they still wear their muslim outfits and respect the Quran's values. Indonesian fashion designers are hoping to turn Indonesia into the world’s Muslim fashion Mecca within the next decade. The country, which has the largest Muslim population, is already on the right path. Many designers have already established flourishing businesses in their local communities. Some of them even made it to the international market. Distancing themselves from the traditional black burqa, those Islamic fashion designers are now proposing new and unique clothing and hijab styles for muslim women from all around the globe. The clothes, which are sold throughout the whole muslim world, are made in the outskirts of Jakarta. The capital even have its own fashion week, dedicated to this type of clothing. Dian Pelangi, a well known Indonesian fashion designer, even created a special collection for the Eid celebration this year, which she presented at the fashion week a couple of weeks ago. She even created an innovative jilbab (long and loose-fit coat or garment worn by some Muslim women) series called Circle Shawl to encourage more young women to wear the jilbab. En Indonésie on les appelle les hijabistas : contraction d'hijab et fashionista : elles aiment le glamour et les couleurs. 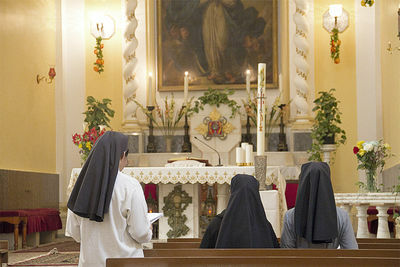 Elles portent leurs tenues musulmanes dans le plus grand respect des préceptes du Coran, mais elles sont très féminines. Loin de la burqa, la mode musulmane connait désormais sa capitale : Jakarta. Les designers rivalisent d'idées pour sortir du triste voile foncé et des robes sombres. Operation Streamline is the U.S. Federal court system response to mass increases in immigration enforcement. Everyday in border cities like Tucson, Ariz., hundreds of migrants apprehended throughout the U.S. are sentenced en masse with scant legal procedures. Criticized as unconstitutional, Streamline sends people to jail or deportation daily. Off-limits to cameras, journalists ST McNeil and Josh Morgan brought graphic artist Lawrence Gipe to the courtroom to witness and record the "assembly-line." 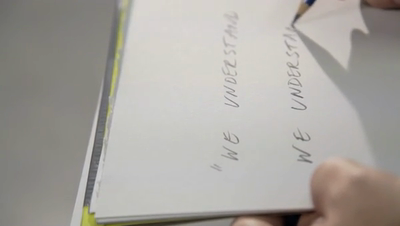 His sketches are the first images ever detailing an opaque border enforcement system. 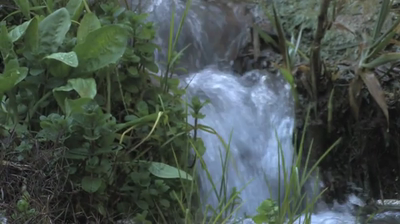 Trailer (HD) for 'Les eaux cachées' (Hidden Waters), a documentary film about the past, present and future of water in Fez, Morocco.